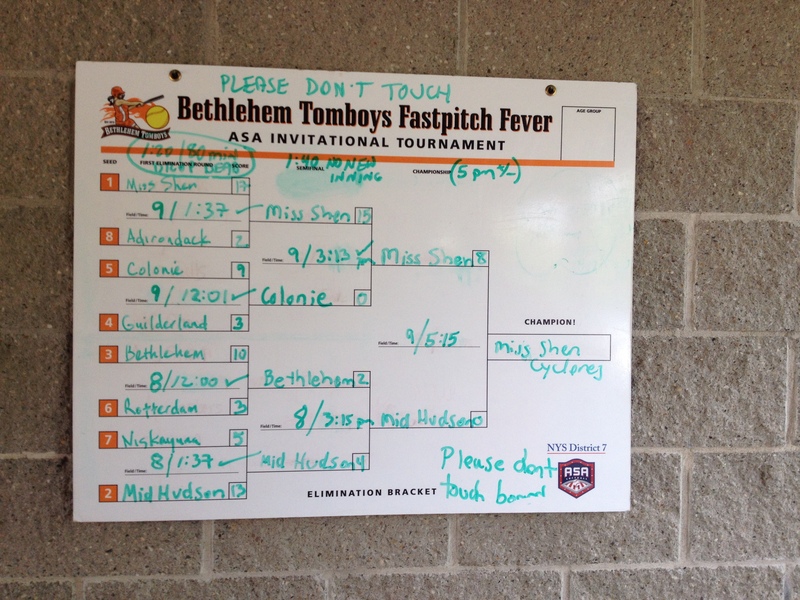 2015 ASA Tournament Rules - click here. Please note: Tourneys are filled in the order teams register (and pay). As tourney forms/payment are received, we will list your team below. Online payments will immediately guarantee placement in open spots. If you feel you should already be there and you are not, email or call Patrick immediately. Once a tourney is full, we will not bump a team for any reason. Cost is $500 per team. Please make checks payable to Bethlehem Tomboys and indicate tourney in the check memo. Important: In registering for this event you are making your team available to play pool play games on Friday July 3rd, beginning at 12 noon. This is standard practice for State Championship events. Teams will be required to play on Friday July 3rd. Please note: All teams entering a State Championship event are required to register their teams online at registerasa.com - please check with your district commissioner if you have any questions on registration for Advancement tournaments. 3 Game Pool Play, Single-Elimination Tournament. Cost is $475 per team. Please make checks payable to Bethlehem Tomboys and indicate tourney in the check memo. 8 - team max, 3 game pool play, Single-Elimination Tournament. 16 - team max, 3 game pool play, Single-Elimination Tournament. 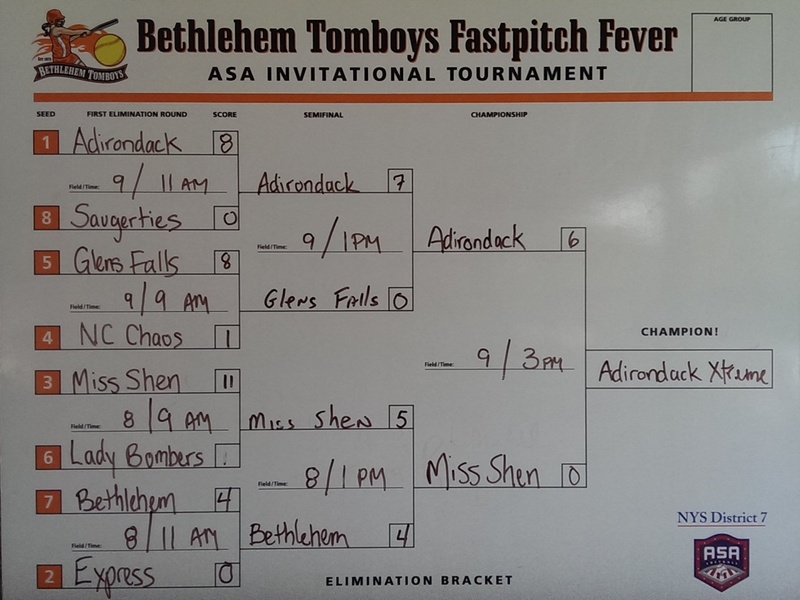 14U ASA Class "B"- FINAL RESULTS. 14 - team, 3 game pool play, Single-Elimination Tournament.